Don’t eat fish the night before you go fishing – a sure blank. Johan Hierons almost needs no introduction. 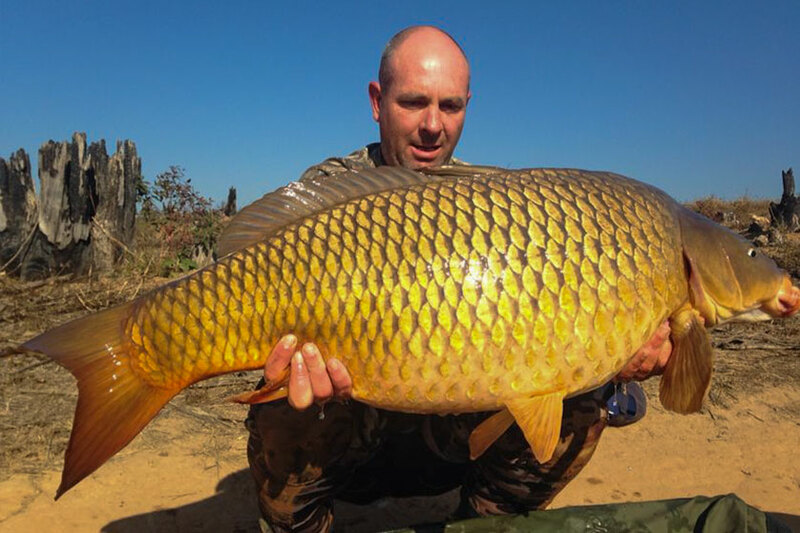 He is a well-known name in the local carp scene who contributed immensely in our sport and played a large role in boilie development in our country. 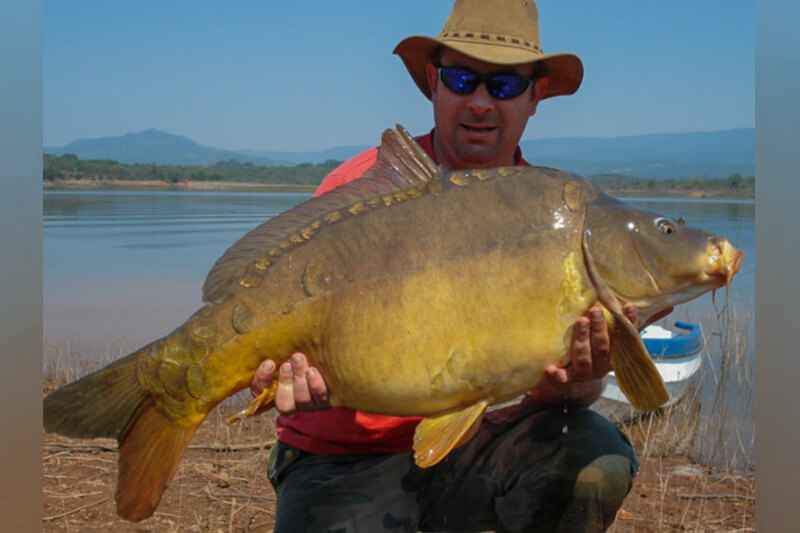 Johan is a knowledgeable angler with ample experience, a great sense of humour and no-nonsense attitude. Thank you for the interview Johan, we loved your answers and outlook towards our questions. Thank you for the great impact you’ve had in growing the sport in our country. The CarpFever team. I have been fishing since the age of five and in 1999 I started specimen fishing after being fed up with catching smaller fish. 2014 was a very frustrating year for me – I lost three very large carp from three different waters. Hooks were being straightened on two of the fish and I got snagged on wire with the third. I did manage a 41lb common on my first trip to a new water though. Cheers George! 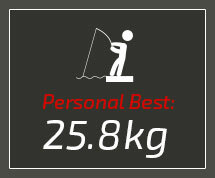 My most memorable catch must be my PB. It was a few years ago fishing with some friends; I had caught a 45lb common at midnight and it was sacked for pictures. I had a cigar at around 5:30am celebrating a PB common when the left hand rod gave two beeps and roared off. After an epic fight, my fishing partner Jason netted a mirror that pulled the scales to 57lbs plus. My personal best to this day. My favourite venue of all time has to be Kleinfontein Dam in Benoni. Although it’s a shadow of its former self – besides being dangerous to fish right now due to muggings – a lot of the fish have been moved, and many died when the water was covered with hyacinth. It’s a water that does reward you when you put in the effort, and I’ve spent a lot of time there. Patience, tenacity, positive thoughts and doing a lot of homework prior to targeting a water. Combi rig – a long one. I’ve been using this rig since 2000; works everywhere. For casting with my current rods – I use three oz leads. When boating the lines out, I’ll use five or six oz leads. I like to fish over bait (boilies). I use a lot of boilies, I also don’t believe in mouse trapping – it’s a rubbish method (in my opinion). Both – at casting range I use Korda SUBline mono; further than that FireLine braid. As long as the weather is stable I’m happy. Overcast with a westerly wind gets me excited! 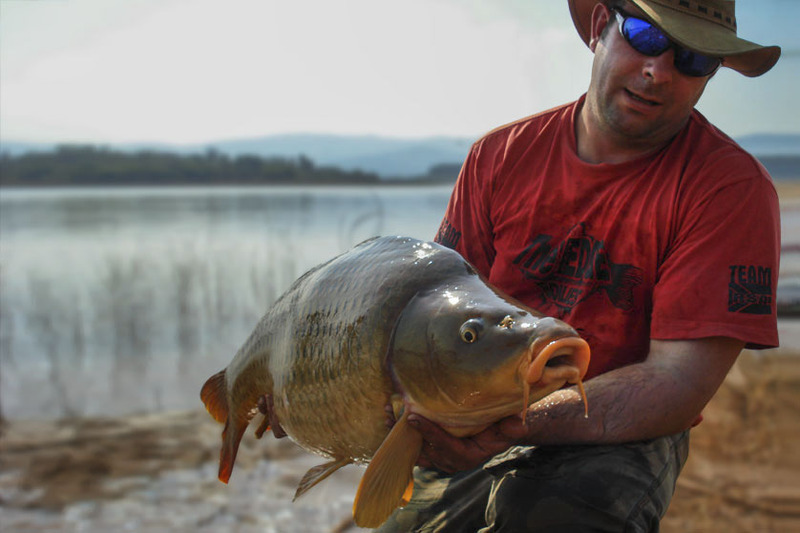 Slopes – the carp don’t have to tip up as much to feed. If you had the option, would you rather land one quality fish or multiple decent fish? Weekend sessions – it’s what I do 99 percent of the time. Boilies – particles catch too many small fish. You’ve had great success with your homemade boilies. What are your views on homemade versus shelf-lives or particles for that matter? Shelf-lives have improved in the last couple of years. If you do use shelf-lives, then I would only use or buy from a reputable and honest company. In SA, there is a couple of bait firms that I’d buy from, but also plenty I wouldn’t – lol. Having said that; a homemade can be customised or tweaked every time you make a batch. Fish meal boilies with fruit powders and yeasts. Do you have any basic homemade boilie tips for our readers? There are no rules. Experiment, and don’t forget to use eggs or egg powder replacers. Choose a bait recipe, make it the best you can and stick with it. Don’t change your bait every time you go fish. Both – rich and fish when and where I want. It’s not cheap to fish anymore. Do you enjoy fishing for other species of fish. Is there a tip or lesson you learned that you would like to share with our readers? 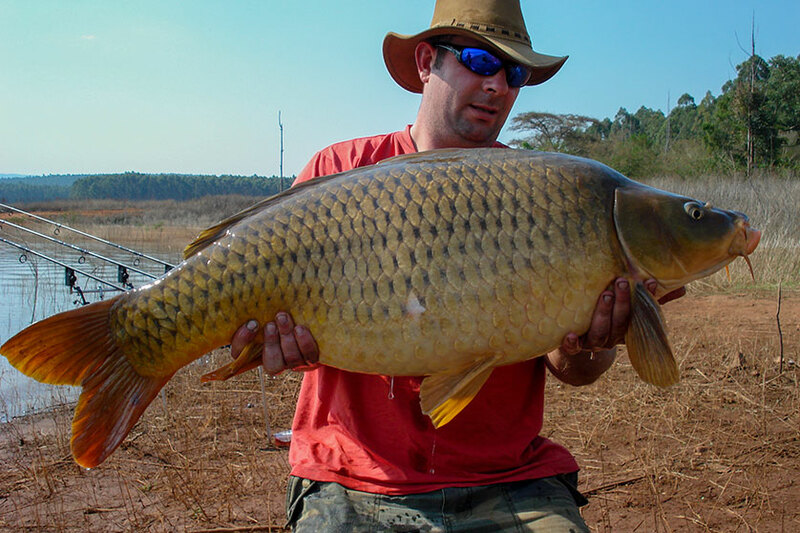 Make sure the water you’re fishing has carp the size you’re looking for. Above all else, make sure that you keep your integrity intact.